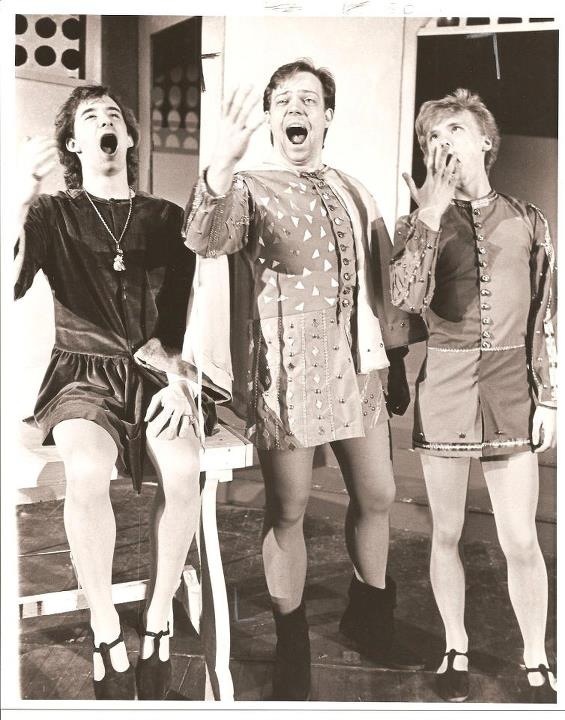 Here’s a photo unearthed by my friend Rick Schilling, who has been going through the Theater and Dance dept. archives at Youngstown and discovered this among the treasures the other day. It’s me as Thomas Mendip in Christopher Fry’s The Lady’s Not for Burning, a comedy set in medieval times, and written in the 1940s in blank verse. I played a soldier so brought down by the horrors of humanity that he wishes to be hanged. It was some of the most polysyllabic dialog I uttered among the 20 or so roles I played during my college years, both at University Theater and the local playhouse. This was one of my favorite roles, though I didn’t really grasp much of it till later, as I looked back on the speeches and dialog, some of which I remember to this day. And the entire fallacy of human emotions!